I remember the first time I ever heard of The Hunger Games. 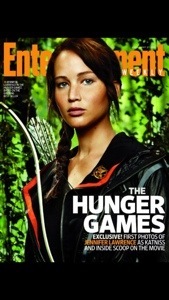 It was April 2011, eleven months before the release of the first film, and Entertainment Weekly had published the first images of the girl playing Katniss Everdeen. The internet seemed pretty excited about it (at least the websites I read did) but I was totally oblivious to the significance of the whole thing. Perhaps it is no surprise as I am hardly the target demographic but up until that point Suzanne Collins’ books had totally passed me by. I did a little bit of research and they didn’t seem like the kind of stuff I’d want to read. Besides there were films coming out now so I wouldn’t need to. I did recognise the girl in the photos with the bow and arrow though. I had seen Jennifer Lawrence’s fantastic performance in the film Winter’s Bone and knew she was going to be one to watch. Now of course, twenty months later, Jennifer Lawrence is an Academy Award winner and is widely accepted as one of the most talented new kids on the block. It is certainly hard to deny her star power which I think is as much to do with her personality off screen as her exceptional performances on it. If you’ve not seen the footage of the press interview she gave after winning her Oscar you should search it out on YouTube. She was asked a round of the usual poorly thought out, sycophantic questions you get at these sort of things and responded with a series of answers that unpretentiously punctured the shallow pomposity of each one. “Jennifer, can you tell us the process you went through to get ready tonight?” “Well, I chose a dress and put it on.” “Jennifer, you are very young to have won an Oscar, do you worry that you may have peaked too early?” “I didn’t but I do now, thanks a bunch.” She is a refreshingly honest and engaging presence in a world of people preoccupied with image. She also has a habit of photobombing other celebrities at glitzy functions and you’ve got to love her for that. 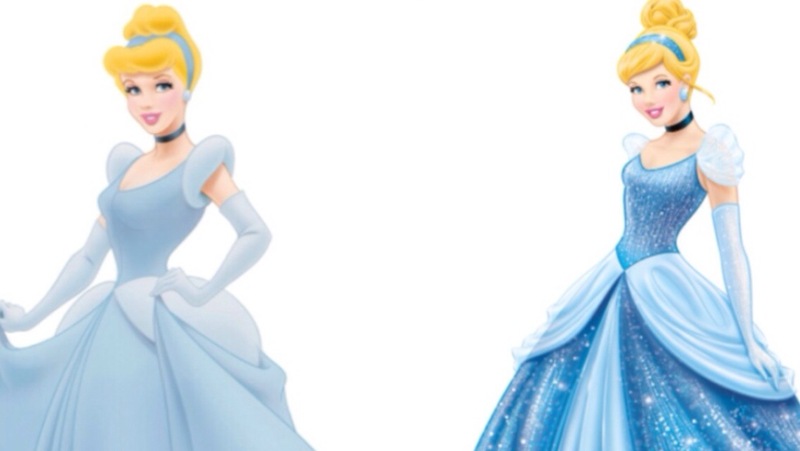 Also, is it just me or have Disney recently given Cinderella a makeover to make her look more like Lawrence? That could be the greatest accolade of all. 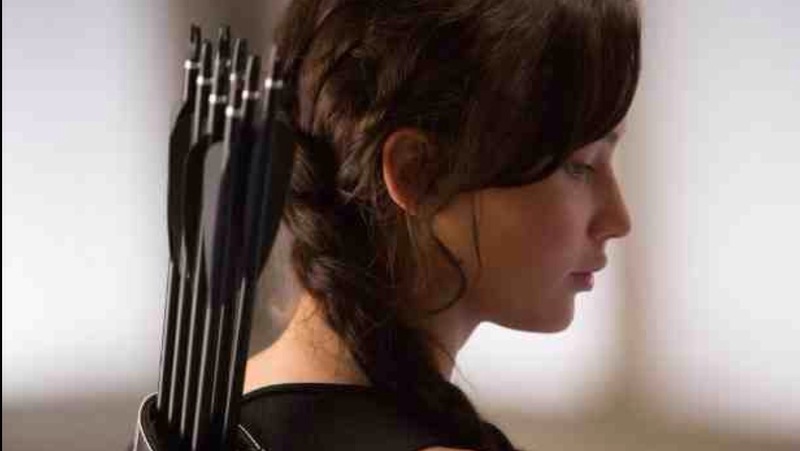 I didn’t rush to see the first Hunger Games but when I did catch up with it I kind of liked it. It was interesting enough although it did have a couple of narrative leaps that jarred me out of the film. How did she find Peeta so easily when he was hiding in those big woods and how come those nasty dog things just materialised out of nowhere when someone flicked a switch in the control room? I didn’t do brilliantly in my Physics GCSE but that didn’t seem feasible. I’m sure the book explained both of these things better, she’s an expert tracker, the whole arena is actually constructed of corporal computer generations, but I still didn’t feel any need to read it. So now we have film number two and here is my problem; it doesn’t have a satisfactory ending. This isn’t a criticism because I understand it follows the book quite faithfully (didn’t want to read it myself). This is sometimes what happens with a series of films or novels. When the first one is written the author doesn’t know if their work is going to be successful so while there may be some great saga in their head, they know book/film number one has to work as a complete and stand alone story. Once it has found an audience though they are free to write the rest as parts of a trilogy so number two does not need to be burdened with a satisfactory resolution. The Matrix and The Pirates of the Caribbean films suffered from this and ultimately both collapsed under the weight of their own mythology. The first ones were great but part two wrote the story into a corner part three couldn’t get it out of. So with The Hunger Games: Catching Fire there is a natural break in the narrative but no real ending. 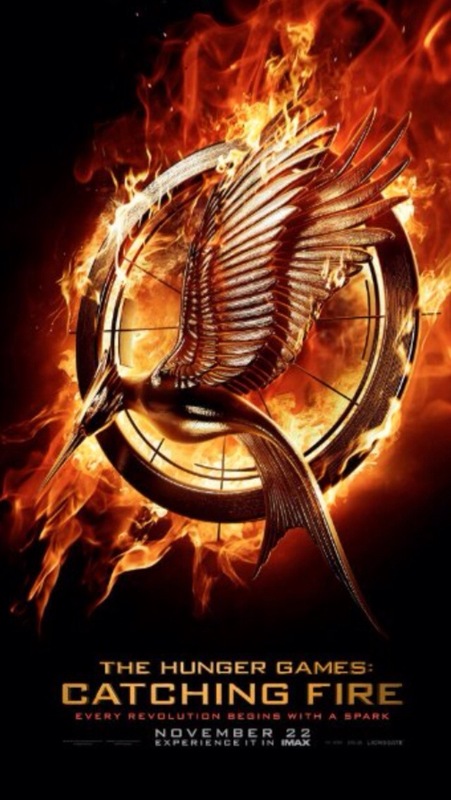 Katniss is thrown back into the Hunger Games arena (I don’t think that is a spoiler) and while we see how that little adventure pans out the film is more concerned with the simmering revolution which is still only just getting started. The quality of this film depends to some extent on the final instalment(s) but I did find the end disappointing. It is actually to the film’s credit that this bothered me. If I didn’t care I wouldn’t care. The final novel, Mockingjay, is going to be split into two films (of course it is) but I don’t think I can wait eighteen months for closure. Jennifer Lawrence plays the reluctant messiah really well. There is a moment when the camera watches her face change from fear to resolution that is so much more powerful for what has come before. The fact that I have come to care for this story is very much due to the way I have come to care for the protagonist. In fact Lawrence’s portrayal of Katniss Everdeen registers far more than almost all of the other characters on screen but that is okay because even with thousands of people rising up against the government this is still very much her story. I don’t know if the same is true of the books but I guess there is only one way to find out. One other player who gets a nice little story arc is Elizabeth Banks as Effie. Her difficulty in facing up to the cruelty of a culture she has invested in was quite moving and effectively demonstrated the revolutionary rumblings that may be going on in her own social class. The most stand out performance other than the lead though came from Jena Malone. Malone has popped up in interesting roles ever since her memorable turn in Donnie Darko and here she gets a chance to shine as the gutsy and devil may care Johanna. The role is not dissimilar to the one she played in Sucker Punch but here she has a film worthy of her performance. There were other aspects of the film I liked very much too. As someone who has not read the book the plot kept me guessing and Katniss’ inability to trust those around her in the game translated to some good elements of suspense for the audience. Stanley Tucci is creepily entertaining as he was in the first film (although Toby Jones is wasted as he was in the first film), Katniss has a nice Black Swan moment and it is good to see Donald Sutherland get such an interesting role even if he isn’t putting in a huge amount of effort. There are still odd things going on in the game zone with cankerous burning sores that cause agonising pain and death but come clean off in water but this is a pretty good film. I won’t say roll on the next movie because I’m not going to wait that long. I’m going to read the book. Well it certainly isn’t one for little kids. It is a 12A and really isn’t suitable for children much younger than that unless they are used to certain levels of on screen terror and violence. There are shootings, whippings, bloody injuries, savage animal attacks and obviously quite a lot of pointless deaths. If your offspring have read the book and know what to expect then all this will probably be manageable but if not I would suggest you check this one out yourself first. Whenever I see or read of president snow I automatically reconjure the impression from the books of his smell when Katniss first meets him, and the explanation of why he has it. Donald as chilling as he was in Invasion of the Bodysnatchers…. I’m half way through book three already. I’m quite liking it. I’m about 90% of the way through Mockingjay now and I quite like it. It owes a great debt to Animal Farm but that central idea works well in this context. It should translate well to film but there is a lot of tragedy there that undermines the efforts and sacrifices made in the first two films. I finished Mockingjay last night and I think there are parts of that that will need toning down too. People gushing blood from every pore of their bodies is not going to sit well in a 12A. I’m wondering how they might play some of Katniss’ more morally dubious moments too. As per usual I have spoken before I’ve thought it through! It seems the more films I think of, the more that this love triangle/choice is apparent – Casablanca, torn between 2 loves, Harry Potter – not quite torn but certainly the audience wonders, Pretty in Pink, an 80s dilemma. Its a theme that runs through films of any age it seems, not just nowadays! (My) Mark says its because there are statistically more boys born than girls, so we have to always choose… cinematically I’m sure it must be something more deep rooted than that, casting off love for the father figure perhaps… Hmmm, I do like how your blog makes me wonder!! They have shoe horned a love triangle into the latest Hobbit film too. It’s been around as a plot device at least since Romeo and Juliet (although Jools never goes for Paris). You have it in Star Wars too although one of the dudes turns out to be her brother which is an interesting spin on it. Can you think of any examples where a guy is torn between two girls?